This style of climbing involves one or more stops at a belay ledge, each section of climbing in between the belay stations is called a pitch. 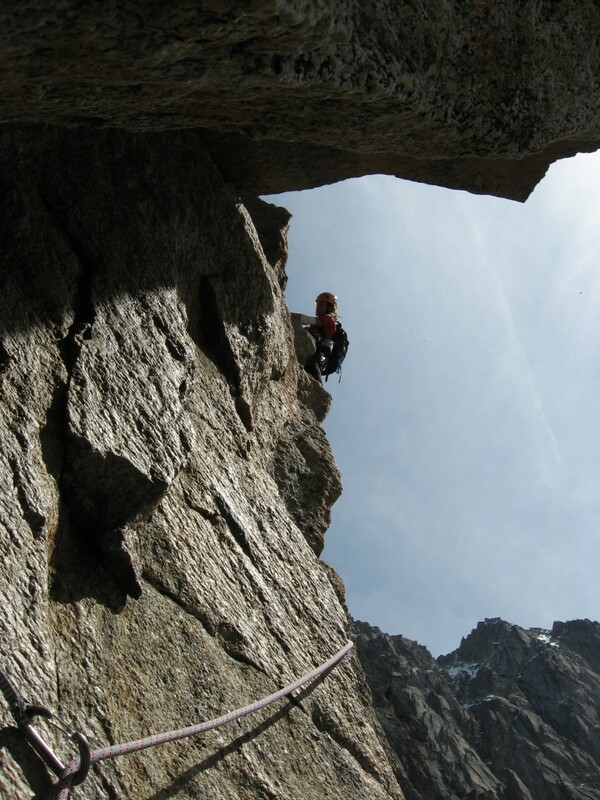 The leader places gear along the way in order to protect themselves in case of a fall, until they arrive at a belay station where they build an anchor system in order to secure themselves to bring up the second. The purpose of these stops is to allow the second to ascend up to the leader as the rope is usually around 50 metres long so this limits the distance between the belays. The second will take out all of the gear/protection that the leader has placed leaving no trace of their ascent. At the belay station, the protective gear is collected and exchanged to a new leader, the leader of the next pitch ascends the route and so on until the top. Routes can be anything from 2 pitches long to 35 pitches long and could take multiple days. We will endeavour to show you the techniques and easy ways of making yourself safe, getting those slick belay changeovers and how to problem solve when things dont quite go to plan.